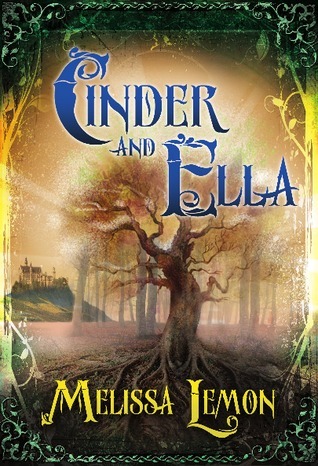 The story of Cinder and Ella is loosely based on the fairy tale Cinderella. I say loosely because it has more of a Grimms Brothers touch to it. I loved the fact that the author broke the familiar character into two different characters. We have Cinder who received her name because of the color of her hair, and we have Ella. Cinder, Ella, and their sisters Beatrice and Katrina live with their parent in a happy home. That is it was happy until the Prince paid a visit. He was trying to convince everyone that his father was evil, when in reality he was the evil one. Their father changed before their eyes and then disappeared. Their mother began spinning yarn to provide for her children. Cinder was the one who could calm everyone and make everyone happy. Ella tried to be like her but yet did not give in to selfish Katrina or Beatrice. When Cinder gets a job at the palace Ella leaves home on her own and the household become chaotic. Cinder returns on her day off to find her sister gone and no one knows or seems to care where she is. A knight hears her crying at night and decides to find her sister for her. He finds it strange when his request to search for her is granted by the Prince and only with the understanding he will take to of the Prince’s men along with him. He learns that they are to bring her back to the castle even if they have to arrest her. We watch the feelings between the Knight Tanner and Ella grow as the danger increases. I loved the way the story continued. I loved the way it ended. It wasn’t your fairy tale ending. It had that darkness all through it. Yet as you read the discussion questions at the back you realized there were so many deep questions about family and right from wrong throughout the book that were left for the reader to answer. This is definitely a great book and one I look forward to recommending to others. I also look forward to whatever else this author has for the future.